For some the discovery starts with the finest shopping in Mississippi. A wealth of independently owned boutiques, galleries, and stores are located from one end of the city to the other. Stroll the brick streets of the old world Renaissance at Colony Square, a true lifestyle center featuring fountains, lush landscaping and high-end shops including the only Apple store in the state. 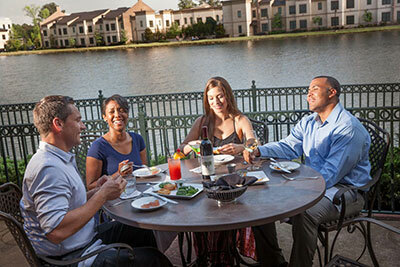 As night falls, twinkling lights dance overhead and outdoor patios beckon you for drinks and dinner. A few miles away in Olde Towne Ridgeland the Jackson Street District is bustling with specialty shops and restaurants, spas and bike shops. 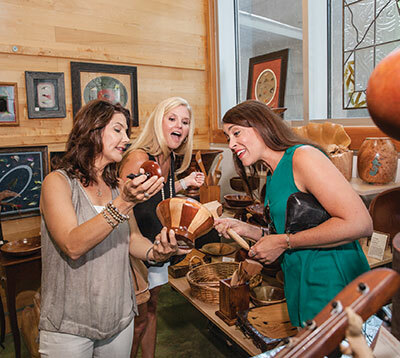 The renowned Mississippi Craft Center features treasures from over 400 artisans and is located just off the Natchez Trace Parkway, making it accessible by bike. 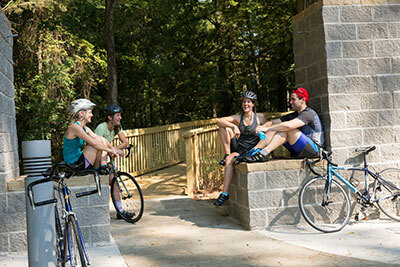 While more than 10 other malls, parks, promenades and squares are also found on the Ridgeland Retail Trail. Ridgeland Inside + Out.